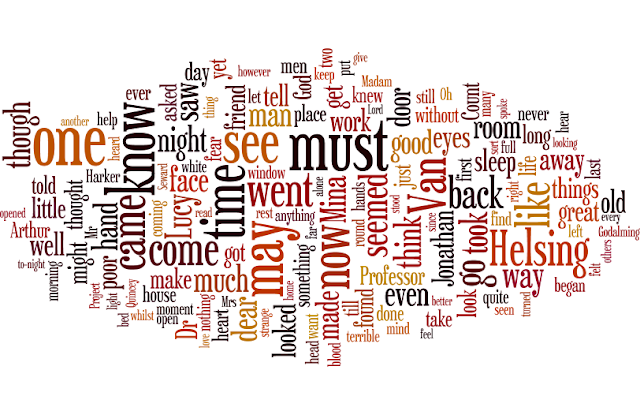 Wordle creates an image of the most often used words in the text, increasing the font size of a word based on how many times it was used. 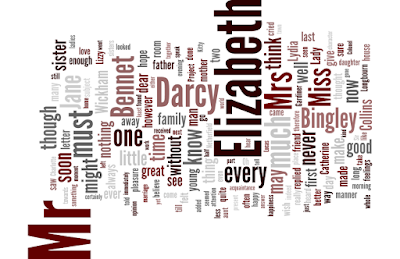 The Pride and Prejudice Wordle is interesting as a comment on societal manners at the time it was written by Jane Austen (Mr, Miss, Mrs). used more often in your Manuscript. The Wordle above is from my current manuscript The Fergus She. 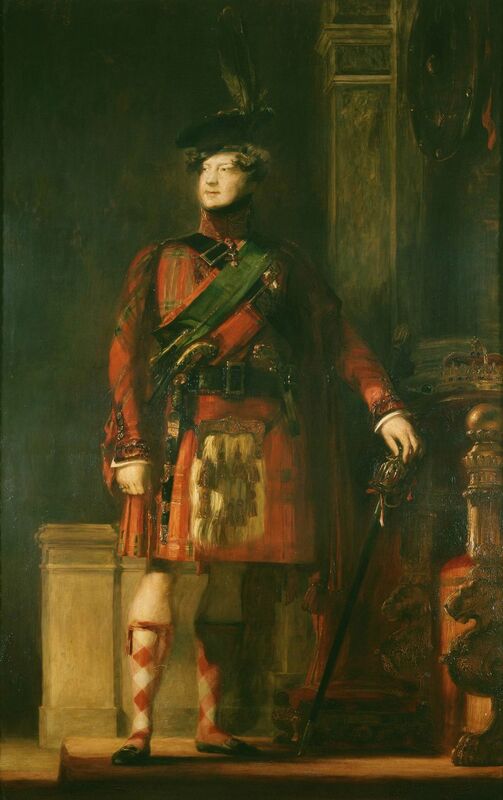 If you notice, the word "Angus" is in the largest font. 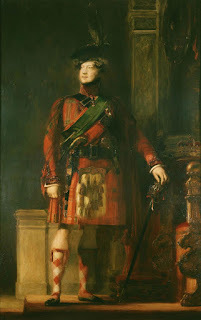 Angus is hotter than this! 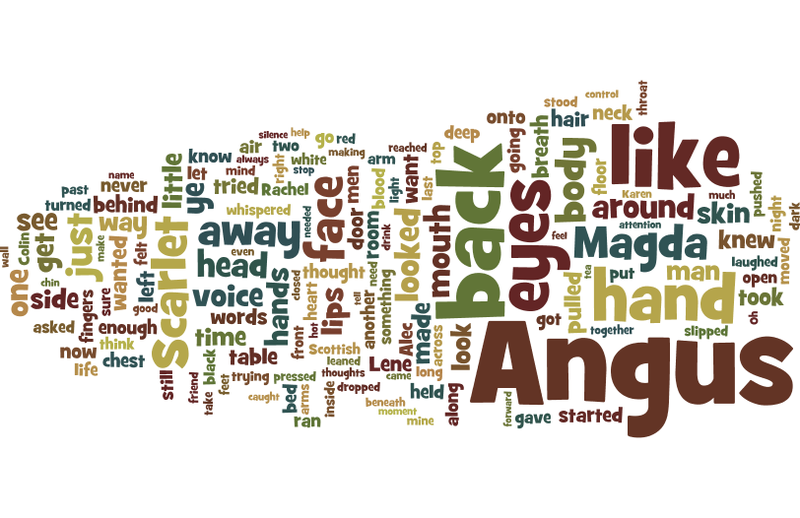 The visual is telling me I used "Angus" more than any other word, which is good because he's the hot highlander my protagonist, Rachel, is lusting for. Where is Rachel's name? you might ask. The Fergus She is written in first person POV, from the point of view of Rachel, so you won't see her name in large font. 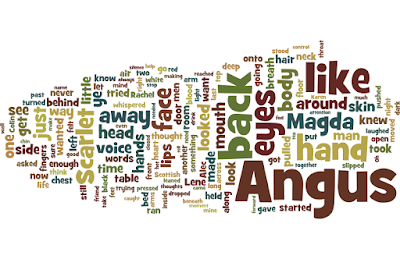 In the Wordle graphic, the next font size (after Angus) are words like "back", "eyes" and "hands". I don't think these are important words to my story or my theme, so basically, I need to cut them down, and because these are mostly body part words, I need to go through my manuscript and really work on body language descriptions to remove redundancy. I open my manuscript in MS Word, and I use the "find" feature to highlight all of the instances of the word "back" in my text. The shocker? The word "back" is quite versatile, so versatile, in fact, I used it over 125 times. I read each instance of using "back" in order to understand the context in which I used it, and then I decide to either change the word or to leave it. Below are some of the ways I got rid of the word "back". Once I was satisfied with those changes, I searched for the word "eyes" in my manuscript. This one was harder to edit. I had to do some deep thinking about body movement that could relay the same emotions I wanted to show with "eyes". After reading a few examples of my word use, I realized I had to get help. I found it in some great, free resources online in 30 synonyms for look, descriptions of eyes, and descriptive words for eye-catching (a little off topic but definitely helpful). ... her eyes lit on the landlord’s red Firebird convertible parked in the lane. > ...a slow smile spread on her face as she glanced at the red Firebird convertible parked in the lane. I couldn’t resist watching as Scarlett stopped on the sidewalk and ran her eyes over the front windows of the house. > ...stopped on the sidewalk and spied on the house. 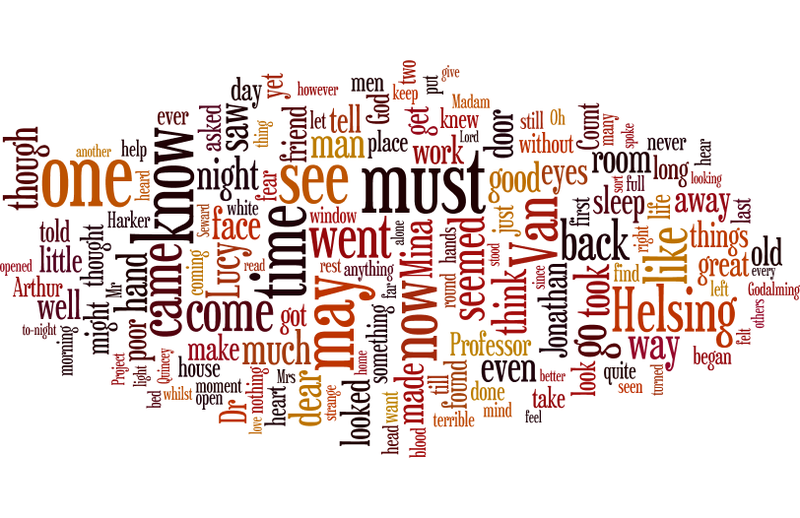 Wordle is free to use and only takes a few minutes. I'd love to see your Wordle and hear how it informed your manuscript editing. In a future blog, I'll explain a more complicated way to edit overused words using Macros in MS Word. Can you guess this famous manuscript from the Wordle above?